At Leap Motion, we envision a future where the physical and virtual worlds blend together into a single magical experience. At the heart of this experience is hand tracking, which unlocks interactions uniquely suited to virtual and augmented reality. To explore the boundaries of interactive design in AR, we created Project North Star, which drove us to push beyond the limitations of existing systems. 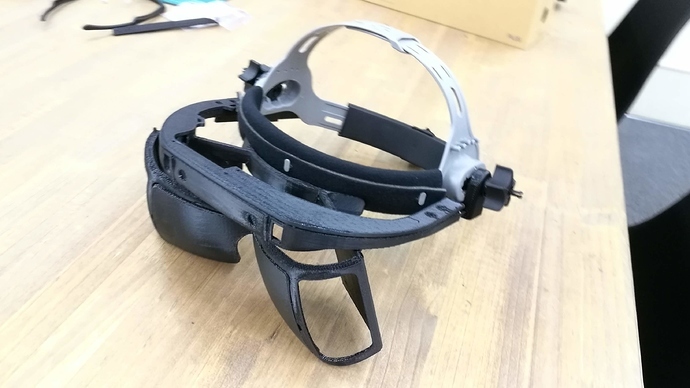 Today, we’re excited to share the open source schematics of the North Star headset, along with a short guide on how to build one. 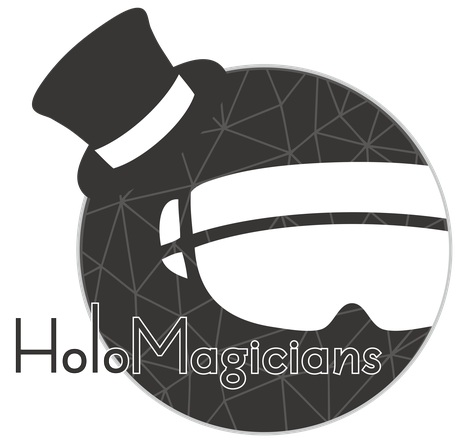 By open sourcing the design and putting it into the hands of the hacker community, we hope to accelerate experimentation and discussion around what augmented reality can be. You can download the package from our website or dig into the project on GitHub, where it’s been published under an Apache license. This is a very early release and there's lots more to do Read more on the blog, check out the package, and let us know what you think! What are you planning to do with the electronics? Release schematics and firmware blobs for diy assembly or maybe looking to do a group buy similar to crowdsupply of a batch of assembled boards? You could also add the lens to the crowdsupply. We're planning on releasing as much as possible; not currently looking to crowdsource components but one of the benefits of open source is that it's all in the community's hands. When and how we get the custom electronics from LeapMotion? Hi! We are so excited to have the project launched!! And we've looked through the github and mechanical guide. The challenge was how to make the reflector but I could access to the manufacture now. So the last things we need to get are these 2 electronics. So please tell us the conditions how to get them. We can make North Star into real in Japan mixed reality community. Do you have a source for the custom optics? Is there a 3D model available for the reflectors, that we would be able to download and print to verify fit? I did not see one in the files downloaded. It would be nice to print out a set for handling and fit testing. Hi Alex, thank you for the great projext. I just finished assembling mechanical parts. As for reflectors, machining PMMA are under way (I'll use half mirror film for its surface). I'm looking forward to your update! Nice work, what did you print it on? I'm currently attempting on a Maker Select Plus. Did you have to modify the files much to make it work? I generally don't like relying on the automatic supports but quite a few of these parts can't be done without them. I used UP BOX 3D printer. Some pilot holes were too big. I fixed them so that they will fit the screws. I didn't care about support materials. Printed them with default printer setting and removed supports. Thanks. 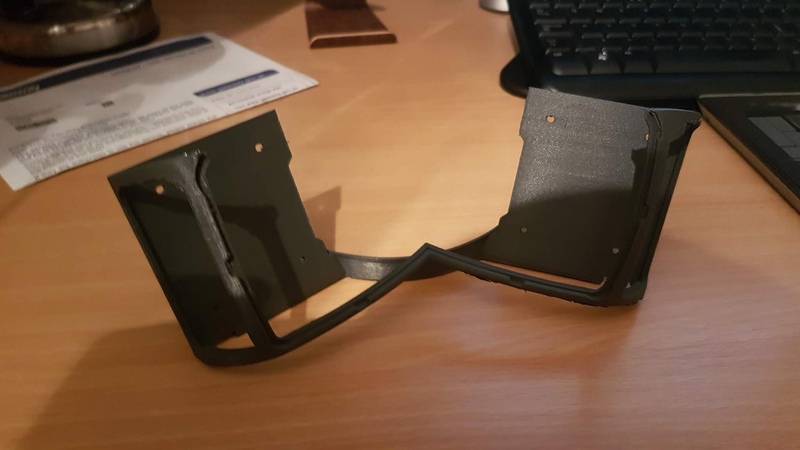 I'm currently printing the "optics_bracket_FDM_optimized". I also used automatic supports as my first attempt to print with less support failed. This time it's looking better. Thanks @AlexColgan for the project! @annerajb would love to follow any effort towards crowdsupply for the optics and electronics. Thank you Alex, I was able to view the set here but not pull measurements or to download the 3D model. It seems from what I can find that it requires a professional version of OnShape for this. Is there any chance of getting this added to the GitHub repository? Non-engineer and AR enthusiast here. How is everyone going about these lenses. what procedure are you using to produce them and where are you sourcing the proper material from? Is it just like normal resin but clear? I've finally finished printing the hardest part. It took almost 2.5 days of printing on my "maker select plus" because I halved the printing speed as I wanted to get the cleanest overhangs possible. It didn't do too badly. Now the rest should be easy to print while I sand this one. Thank you again Alex. I missed them in the step file. I found them and have been working with them. I appreciate the help. Anyone exploring head tracking options for North Star to complement the LEAP hand tracking? I ordered it to CNC machining service. Since machined PMMA was not clear, I polished it by using sand papers and abrasives. As for anti-reflective coating, I applied half-mirror film to it. 3.5" LCD for Raspberry Pi is affordable and easy to get. I'm using it for now. However, its resolutions are not enough and its size is not the same. (I'm thinking of retrieving the LCD from WinMR. How much did they charge you for the reflectors? Im really impressed with how far you've gotten so far! I used protolabs in Japan.